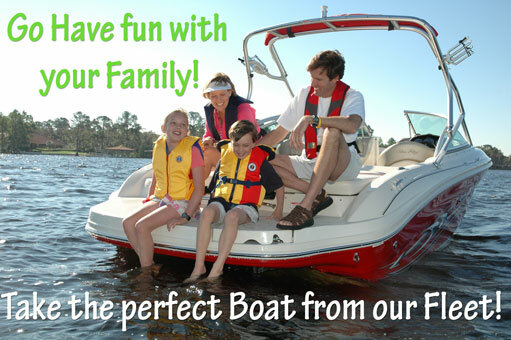 Boats and Fun is a boat rental service that has been operating in the area for over a decade. Our Club is designed to facilitate boating activities for individuals that live in the area, are winter residents or are long term vacationers. As a member, boating can be experienced without the hardships of ownership, such as docking costs, maintenance, and repairs. 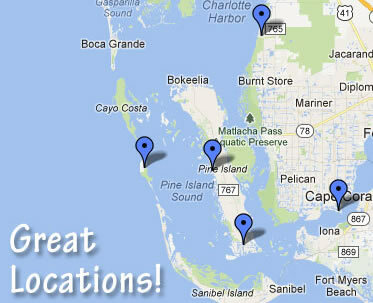 You can pick up the boat from any of our locations for a fun filled day of fishing, sightseeing, or exploring the area. The only two things that we ask of you is a small refundable security deposit and to refuel the boat at the end of a fantastic day. A reservation can be made online, by phone, email, or at one of our locations. You can book multiple day rentals or separate rentals at one time. Members let us know the dates, the boat choice, and the pickup and drop off locations. Once we confirm the availability we will send an email to you with your confirmation number. The day of the reservation club members meet a Boat's and Fun crew member at the pickup location. The boat will be fully equipped with USCG required safety equipment, GPS, and a full tank of gas. Following a brief walkthrough of the boat you will be on your way to a fun filled day on the water. XB - 8 Days a month, 15% Discount of additional days, no blackout days. XM - 4 Days a month, 10% Discount of additional days, blackout dates. XL - 2 Days a month, 5% Discount of Additional days, blackout dates. Additional day discounts apply for reservations in advance of more than one day, for blackout dates and when member exceed the maximum use days. 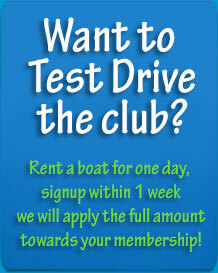 We have a large fleet of rental boats available to our boat club members. If we fail to schedule your reservation three consecutive times within a month we will refund you the equivalent amount of that month's payment. The rates depend on the membership choice, length of the agreement, and the number of payments. There is a plan that fits the needs of each club member. No initial fee. No long term commitment. You buy the time that you want. $2,851 - 1st Quarter of the year. Blackout dates are days with high demand for rentals. 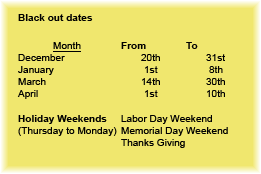 During these dates some memberships are not able to have free use of the boats. In this case, members are able to rent the boat with special discounted rates.